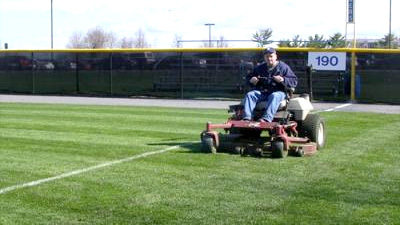 Cornell Sports Field Management – Everything sports turf managers need to create safe playing fields, from managing soils and choosing grasses to mowing and fertilizing strategies and pest management. Interactive management schedules provide timely advice. Turfgrass Species and Variety Guidelines for NYS – Now available as .pdf. This publication will help you choose the grass species and varieties best adapted to your growing conditions and management. Also available on iTunes. NYSTA Sports Turf Manual – The definitive resource for sports turf groundskeepers in New York and surrounding areas. Order from NYSTA. The ABCs of School and Childcare Pest Management – The NYS IPM Program’s School IPM Blog discusses practical approaches to managing pests in and on school buildings, grounds and sports turf. 2017 Cornell Guide for Commercial Turfgrass Management – Now available as a free download. The latest on pesticides, sprayer technology, cultural practices, plant growth regulators, and disease, insect weed, and wildlife management.